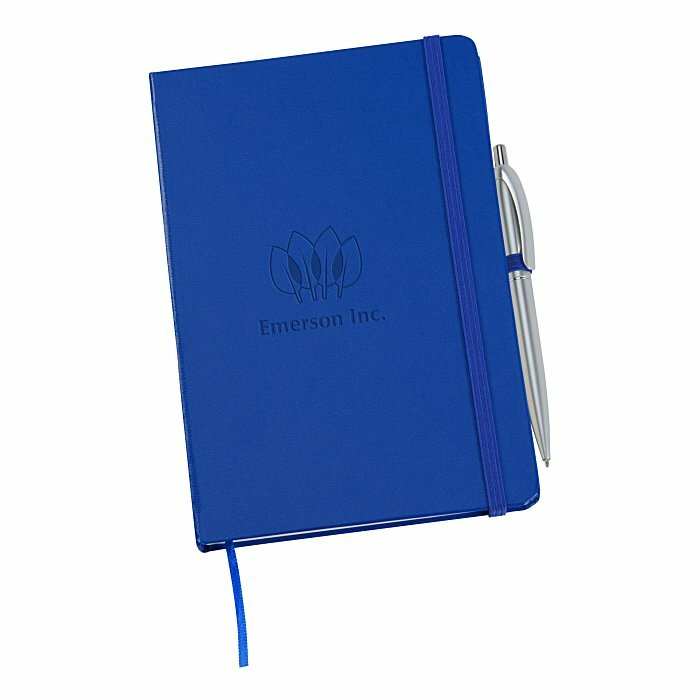 Add a logoed notebook to your school supplies! 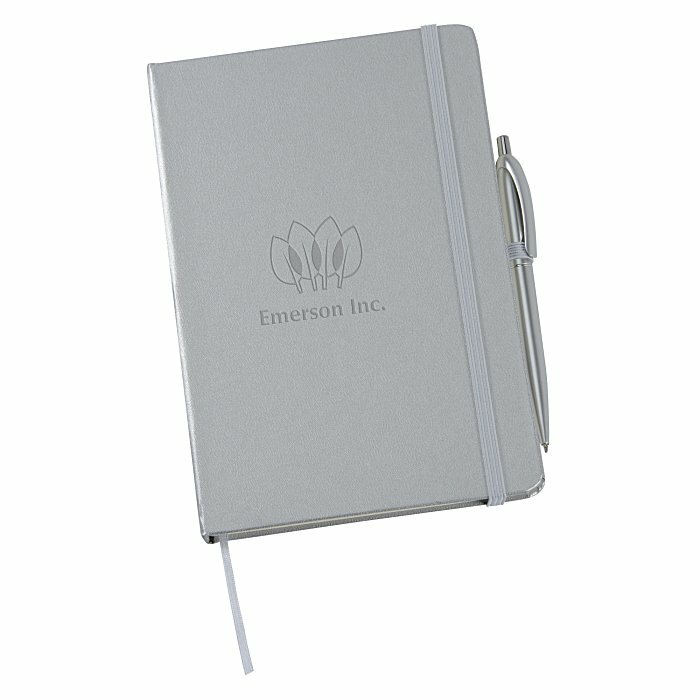 These hardcover faux leather notebooks feature 80 sheets (160 pages) of lined ivory paper. 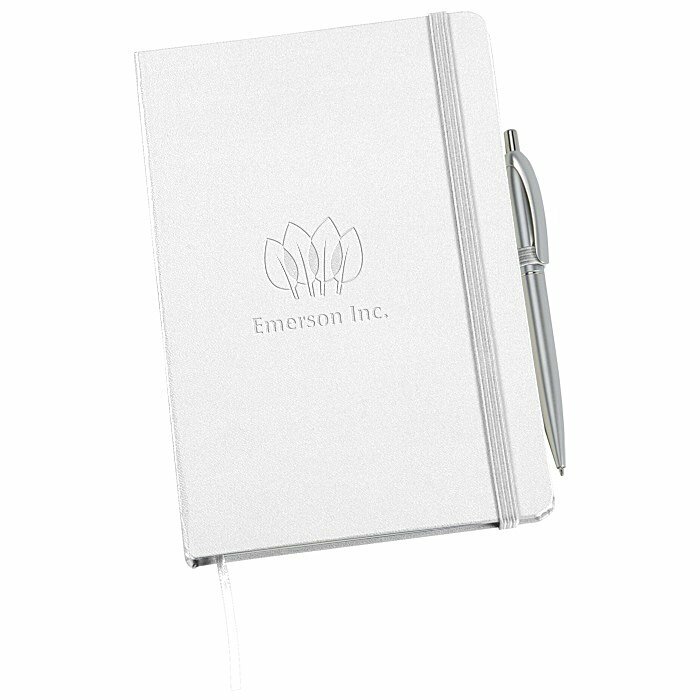 Includes an elastic band closure and a ribbon bookmark. An expandable interior pocket can store notes, writing utensils and more. 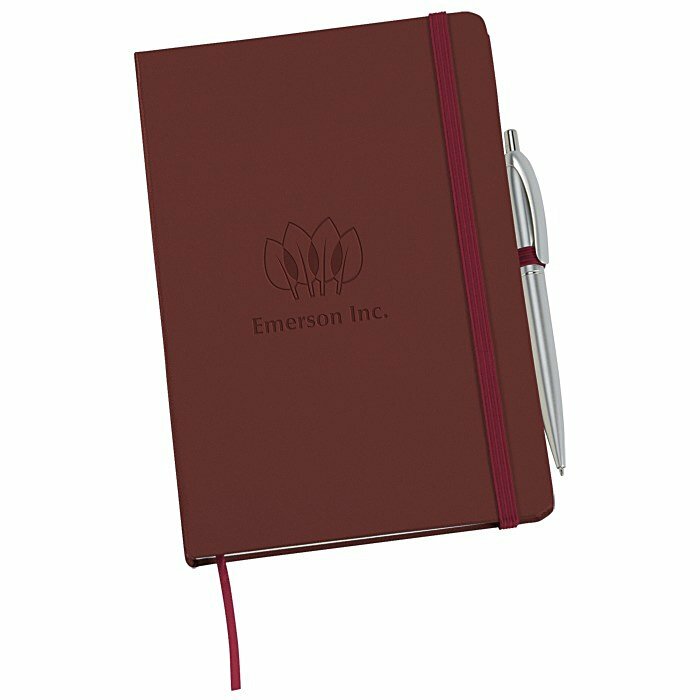 Includes a click-action, metallic-colored pen that writes in medium-point black ink. Store the included pen in the integrated pen loop. Size: 8-1/4" x 5-1/2" x 1/2".